Dependable, high-quality solutions for a multitude of fastening applications. HEICO-LOCK is a leading supplier of industrial fasteners. With over a century of experience and nine subsidiaries worldwide, we are concentrated on continued development and innovation. Our unbending focus on quality and service makes us number one in customer satisfaction. HEICO-LOCK wedge lock washers come with certified reliability! We offer a high quality, high value fastening system for demanding bolted joint applications. 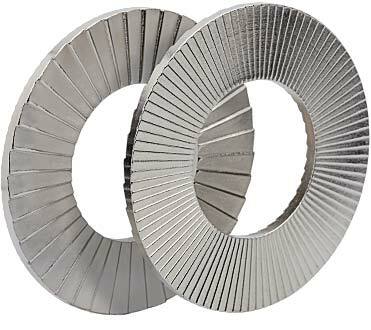 HEICO locking washers are designed for a wide variety of industrial applications. Explore where our customers have used our products. HEICO Fasteners has been independently audited and certified to be in conformance with ISO 9001 and ISO/TS 16949 requirements. 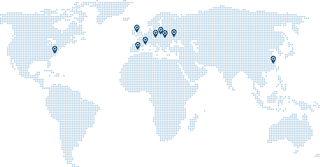 Our established worldwide presence lets us recognize market trends, opportunities and risks at an early stage. Translating these ideas into new products or services strengthens our customer service and production capabilities.